Be the envy of everyone with your style when you wear these one-of-a-kind Oakley Frogskins OO9013 Sunglasses in Crystal Clear. 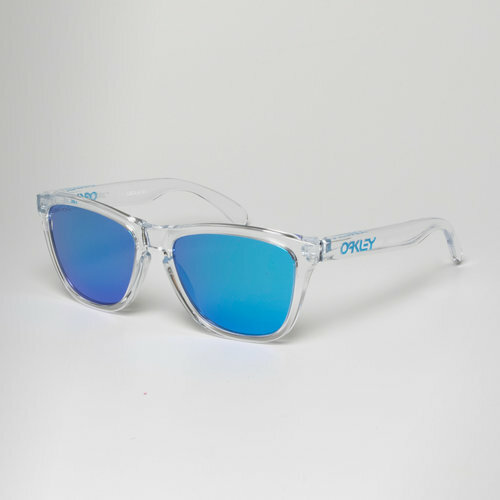 These sunglasses from Oakley come in a distinctive style based on a 1980s design. The dramatic styling features square lenses, impact protection and its patented three-point fit.